On should be aware of the loans giving bank. its highly recommended to go through the tips while you go for loans at the doorstep of banks. First of all we need to make sure the possible ways about getting the loan and we have to think about the repaying option. You must do a fullfledged & detailed market survey about different options such as the pre-payment charges, interest rates & terms and conditions. Interest rates plays vital role of all the costs that you gonna pay. So you have to go for the cheapest choice. One thing you must give attention in which of banking terms like flat personal loan interest rates which appear to be cheaper but are in fact that may be the most expensive. Ofcourse there will be a processing charges in every bank. Its your time to ask for zero processing fees & zero-penalty for pre-payment option. Suppose If that`s not available means , lowest cost would be better. Make sure you work out as to how much other costs add up to. Although the interest rate may be lower, it usually adds up to being expensive. In general, the EMI(Equated Monthly Installment) will come out a lot more than what you can bring on a monthly term. But you need to remind yourself that is "lower tenure will reduce the loan amount & lower loan amount will reduce the tenure(duration/period)." Please Kindly Make sure that all offers & deals agreed upon are supported by appropriate papers. Its not a sin, so you can ask for a letter in a banks letter-head mentioning the exact rate of interests,processing fees, likes of, pre-payment charges with interest schedule. I suggest you to recheck all terms and conditions before signing the documents. Do not bring any false information at any circumstance. If in case found ,that will lead to fraud and you will be in trouble for sure. While appplying for loans, don`t leave your sign in any blank documents. Keep calm & fill the form although if it takes you a little hours to proceed the form. Its more important - Do not leave anything blank to be filled-up by the executive . Get more info about personal loan read Articles about personal loan in chennai. 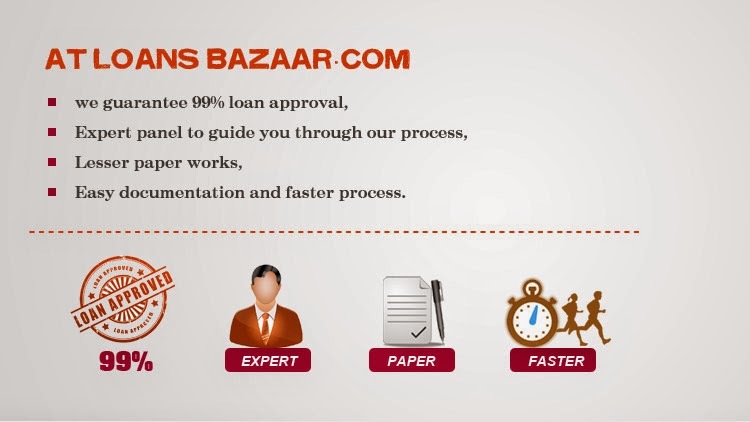 We have multi facility to proceed the loans applied for personal loan, business loan, mortgage loan etc etc., We have a 24/7 customer support team to assist you to obtain loans from trusted bank with low interest without any risk. We are here to place a full stop for your financial problems as per the need given from your side. We Serve you fast manner and our Customer support team will help you out at all levels.